While it is essential to dedicate a great deal of personal time to practicing your art technique and developing your own style, attempting to teach yourself art is generally not a good idea. Attending art classes with professional teachers is the only way to develop a strong technique, to learn a solid foundation of artistic knowledge, and to get the assistance necessary to take your art to a serious level. 1) Improving technique. Professional teachers usually have many years of involvement in the art world. They have a well developed knowledge base and skills to share with their students. If you are struggling with a specific style or artistic medium then it is very likely that an art teacher will be able to assist. 2) Objectivity and guidance. Sometimes it can be very difficult for artists to view something that they have created objectively. When you have committed a lot of time, thought and energy to the creative process, looking at it critically can be nearly impossible. This is where an art school professional can assist. They are distanced from the work and can therefore provide objective criticism and suggestions for improvement. 3) Contact with other artists. If you are trying to teach yourself art at home then you will miss out on discussing your projects with other artists. Art classes offer the opportunity to share your ideas, give or receive assistance, and offer support to other people. 4) Exhibitions. Good art schools, such as Art One Academy, will organize events for their students work to be exhibited. This is not likely to happen if you are attempting to learn art on your own. Exhibiting artwork gives artists a huge sense of accomplishment as art is generally made to be seen by people. You may even get lucky and sell a few pieces! 5) Career advice and portfolio assistance. Art schools offer invaluable advice and assistance in making a passion for art into a viable career option. 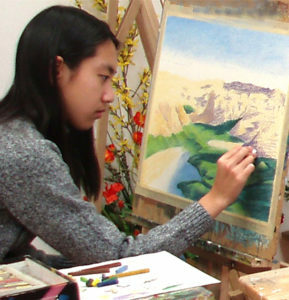 Art schools are able to assist you in developing art portfolio that is unique and interesting. Art school instructors have the experience to know what universities and specific industries are looking for in a portfolio. They will also be able to provide advice on how to succeed in the career field of your choice. 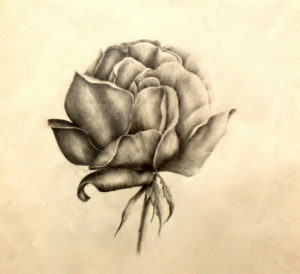 Art is a continual learning experience which requires a great deal of time and dedication. Some things you may be able to teach yourself, and perfecting certain styles may only come from practice and repetition. However a solid basis of artistic knowledge and professional support is essential for people who want to take art seriously. If you are passionate about art and you consider it a possible career option, then you will need the assistance of an art school.